Moon & Star Covered Candy Dish in Delphite Blue Carnival, Bargain Shack offers Boyd Glass, Mosser Glass, L.G. Wright, and Contemporary Collectible Glass including Vaseline Glass - J.B. Scottie Dogs, Pooche, Animal Covered Nests, Toothpick Holders, Salts, Glass Animal Figurines, Clowns, Dolls, Slippers, Vehicles, and More! 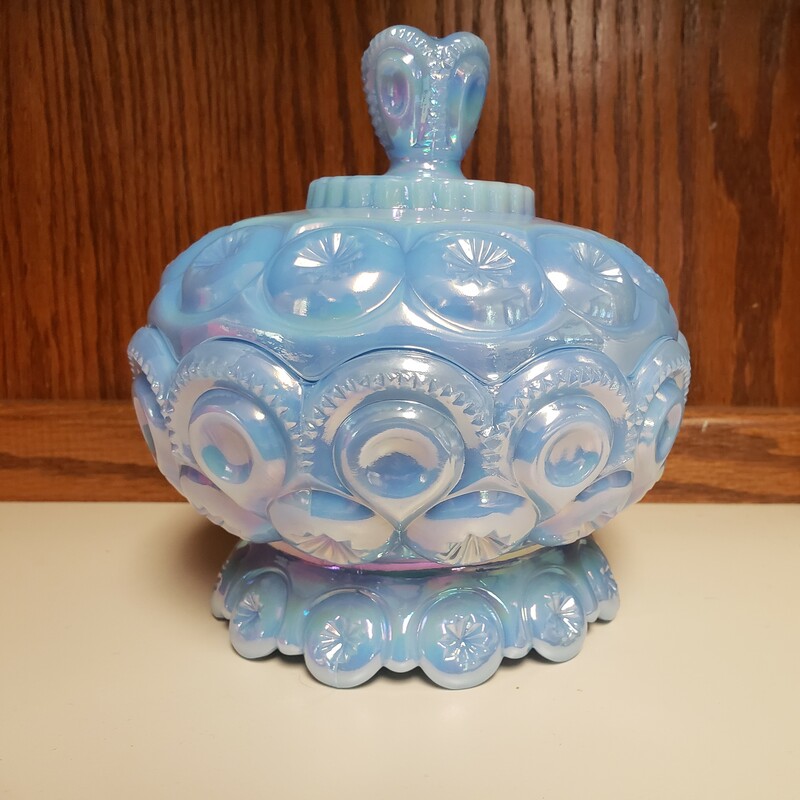 This a beautiful Moon & Star Covered Candy dish in the color Delphite Blue Carnival from Weishar Glass. This is a heavy dish! It weighs over 2.5 pounds. Moon & Star has been a long time loved pattern for collectors. This dish measure about 7 5/8" high and 6 1/4" diameter. It is marked with the script Weishar signature on the bottom. Weather you are a long time collector, just starting out, or want a beautiful display piece for your home this would be a great addition to your collection.